The BunnServe 24500.0770 installation service makes sure that your Bunn LCA-2 or LCC-2LP liquid coffee unit is installed properly. With this program, a factory-trained technician is sent to your facility. Labor fees and travel expenses for the technician are covered with the service, and if they are required, certain installation materials like plumbing fittings, beverage tubing, and a water shut off valve could be included. Schools, restaurants, offices, and most healthcare facilities are eligible for the program. 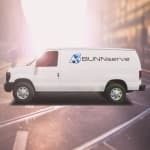 The BunnServe 24500.0770 installation program can be installed Monday through Friday between 8 a.m. and 4:30 p.m. local time. Before the technician arrives, there are certain site requirements that need to be met; if the requirements are not met, there will be an additional $125 fee.